White Dragon Judo Club commemorated the new year with there annual Holiday Par ty on January 23, 2016. 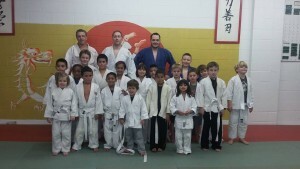 Members of the judo club brought their families to fellowship and just plain have a GOOD TIME. Kids got to run around with limited structure and supervision. Parents, friends and family got to enjoy good conversation, food and joyful beverages. The year 2015 was a great year. 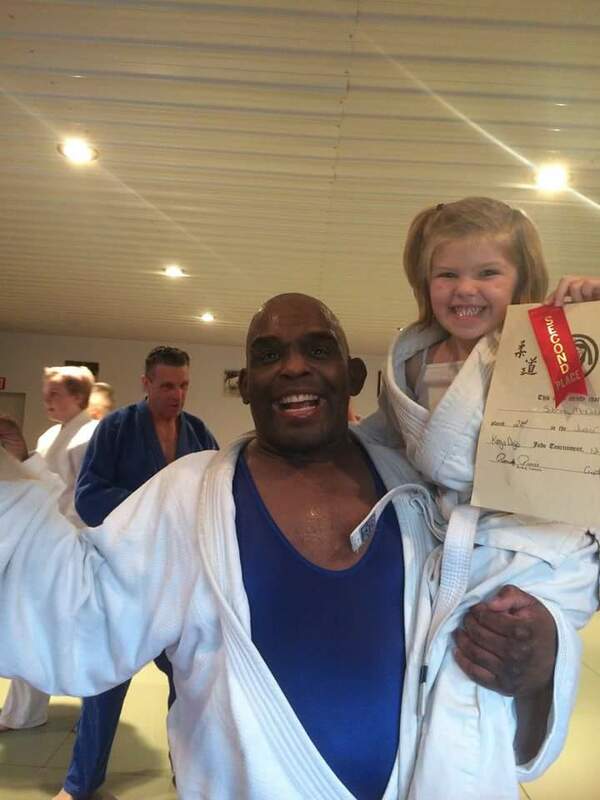 2015 saw the return of some old familiar faces and the growth spurt of many young judokas. Dedication, family, and perseverance has and will keep this dojo running for many years to come. White Dragon Judo Club would like to take the time to thank the parents, friends, and volunteers who take time out of their busy lives to help this dojo grow. There are so many activities that go on at this dojo. Don’t miss out. Check out the club’s website and two facebook pages. 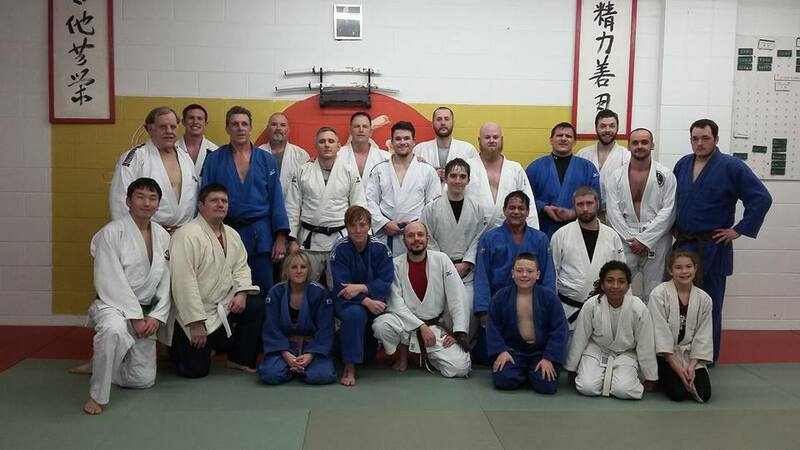 Happy 2016 from White Dragon Judo Club! We will see you on the mat. Team White Dragon was on the road for January 10, 2016. The 2016 Hollis Park Judo Invitational took place at the Hollis Park Recreation Center in Mapleton, Illinois. Derick Wellman and Randy Pierce helped officiate this regional tournament. Demonn Smith was the official coach for Team White Dragon. In the junior division, Issac Valdez De Soto started off well and ended the day with a bronze medal. This tournament saw the White Dragon debut of Bobbie Jo Ridenhour. The Southeast Missouri State graduate showed off her superior newaza skill winning the gold via osaekomi. Glenn Trotter out shined youthful opposition in his category on his way to 3-0 on the day and a gold medal. Dan Raney was the MVP of the tournament with a gold medal in the heavyweight and open divisions. The first promotion of the new year went to Dan Raney. He was promoted to Nidan, 2nd degree black belt on January 13, 2016. Dan Raney has been a solid mainstay in judo for more than 25 years. 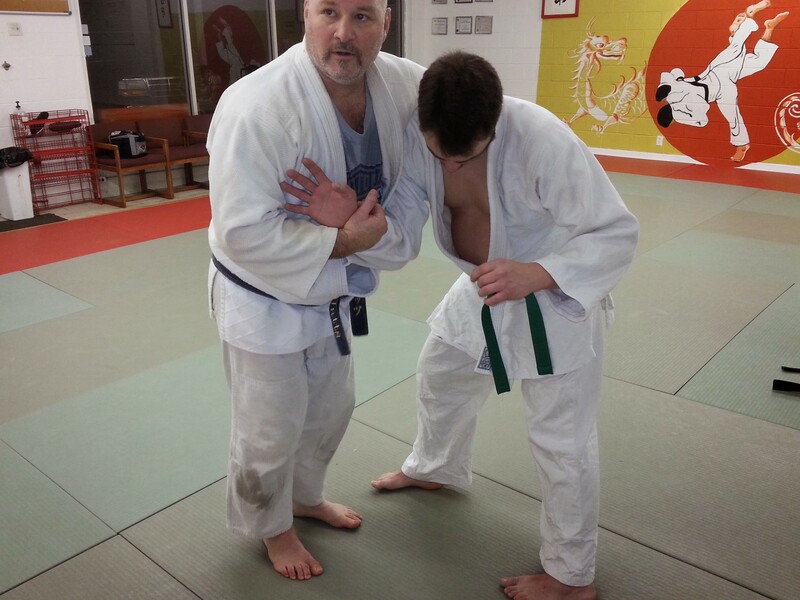 Dan started judo after a stellar high school and collegiate wrestling career. The Marine veteran has dedicated countless hours to the Olympic sport as an instructor and regional referee. Dan Raney is well known for his masterclass newaza. He teaches judo on Sundays and Mondays. There is plenty of room in his classes so get off the couch and get on the mat. Kitokan Judo Club brought in the New Year right by hosting the first judo open workout of the year. The workout took place at the James J. Eagan Florissant Civic Center on January 3, 2016. 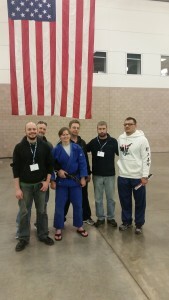 Members of White Dragon Judo Club were in attendance with 7th dan Eiko Shepherd, head instructor of the club. Also in attendance were some notable judokas such as George Weers and Lee English. The workout consisted of a number of warm up exercise, Eiko style, nage komi drills, and randori. Sensei Shepherd strongly stressed the need to practice the basics of Judo. She stated the things you do in practice will translate to the tournament. The workout was followed by a wonderful feast. The year will be full of tournaments and open workouts within the state. This year is an Olympic year and it will be a memorable one. 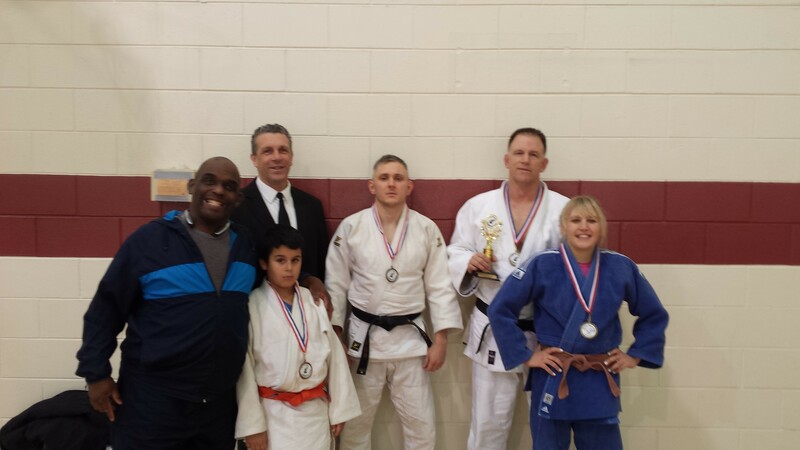 The Winter Friendship Tournament was hosted by the Konjo Judo Club in Imperial, Missouri on December 12, 2015. This tournament yielded a nice turnout of junior judokas. 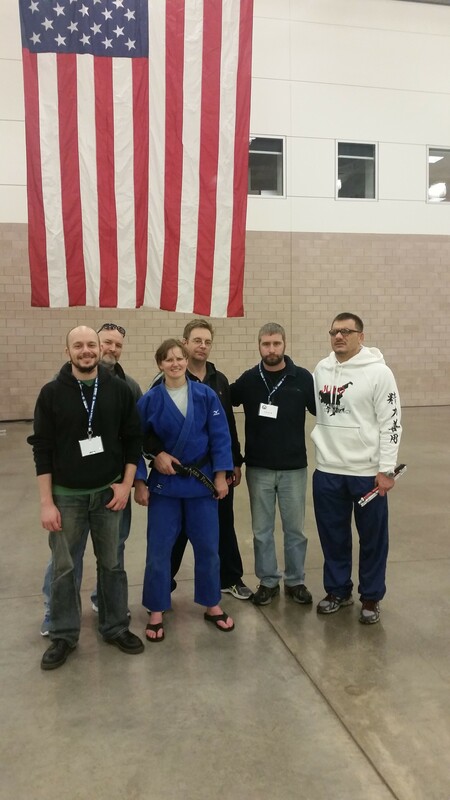 Missouri Martial Arts and a few other neighboring judo dojos were represented at this tournament. The tournament is directed to juniors and those who would like to know how an actual shiai judo tournament is ran. It takes a lot of work. There are so many people behind the scenes making the tournament function like a machine. Referees are needed and can get better by participating in these tournaments. 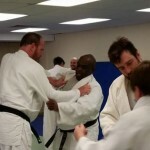 If you are interested in judo or assisting in the function of a judo tournament feel free to contact us or check out the website at www.whitedragonjudo.com. Many judokas have come and left White Dragon Judo Club. It is always good to have a member come back and train again. Wednesday, December 2nd’s judo practice witness the return of James Nash. 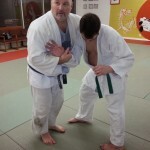 Mr. Nash is a mainstay in White Dragon Judo history. He is one of many students under Sensei Derick Wellman. James is most known for being a mat technician, a true student of the martial art. He approach judo like a science and could explain the Olympic sport to point that even a three year old could understand. James was and still is one of the best junior level instructors. His technique was beautiful and flawless. The best judokas in the club have had nothing but respect for his judo IQ. James is now married to his lovely wife Debbie and they have a beautiful little girl who is three now. White Dragon Judo Club would like to congratulate James on his return and his service to judo. The Dallas Invitational and National President’s Cup was held at the Irving Convention Center in Irving, Texas on November 21-22, 2015. The 6 member team of TEAM WHITE DRAGON brought their A game against a stacked competitive talent pool. The coaching staff consisted of Andrew Lazarz, Blair Watts, and Eugene Hamilton. At the Dallas Invitational, Byron Helmich made his White Dragon Judo Club debut at 66kg. The young judoka had his worked cut out for him but was able to hold his own during his matches. Although he did not medal it was a great learning experience for him. Phillip Vojta also made his debut under the White Dragon label. He took silver in the junior 77kg division. Anna Feygina went 2-2 on the day and collected gold in the Master’s 57kg category. Jay Baker took the bronze in the Master’s light division. Adnan Gutic gain some much needed points to qualify for the 2016 Paralympics. He took 5th at 90kg. Marissa Arndt scored bronze in what is to be her last tournament under the White Dragon logo. In the Presidents Cup, Anna Feygina navigated her way to a bronze medal at 57kg. Jay Baker also took bronze in the brown belt category. Adnan Gutic took his 3rd consecutive Master’s gold of the year. 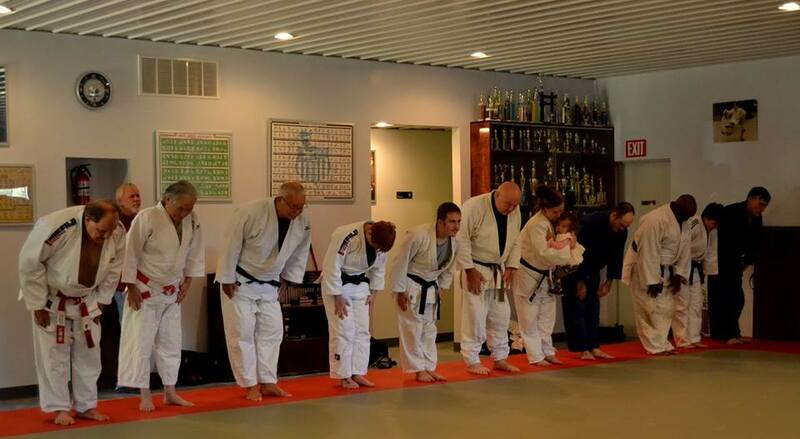 White Dragon Judo Club joined to celebrate Blair Watts’s retirement from the University City Fire Department on November 14, 2015. This was an awesome event filled with family, friends and Blair’s favorite beverage, BEER. For over 25 years Blair has pretty much seen the good, the bad and the ugly in his occupation. He has been a selfless servant to his community and his dojo. When asked what he would do after retirement, he said, “I am going to be a judo bum.” After 25+ years of selfless service, he deserves the rest. Congratulations Blair. The World Military Games got underway at KAFAC Indoor Sports Complex in Seoul, Korea on October 2, 2015. White Dragon Judo Club’s Anna Feygina represented Team USA in this illustrious event. Anna trained very hard for this event. She traveled all over the United States for training camps for this event. She entered a talented weight pool and did not medal. 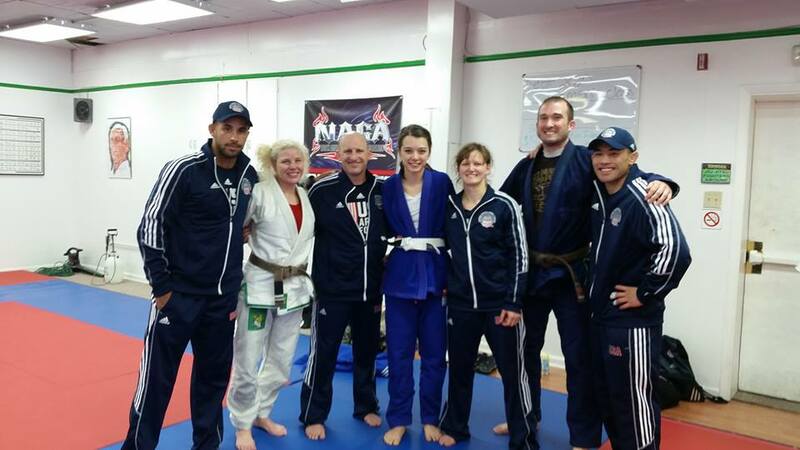 White Dragon Judo Club would like to thank Anna Feygina for her service to her country, judo, and TEAM USA. 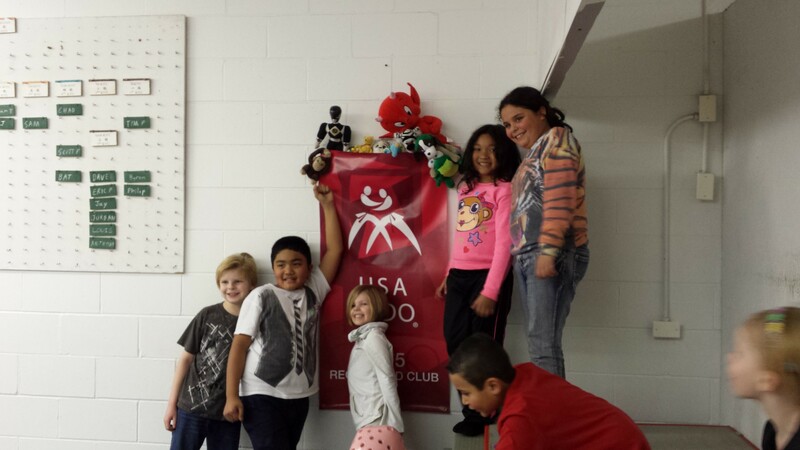 Members of White Dragon Judo Club attended the grand opening of the new Konjo Dojo on October 10, 2015. The Konjo Dojo is run by 7th dan Randy Pierce. The dojo is a very spacious facility located on a hill in Imperial, Missouri. The dojo is also equipped with locker rooms, dining area, and good wi fi reception. The judo club has yielded huge interest in the sport of judo. Crystal Pierce, Randy’s daughter, runs the junior class. 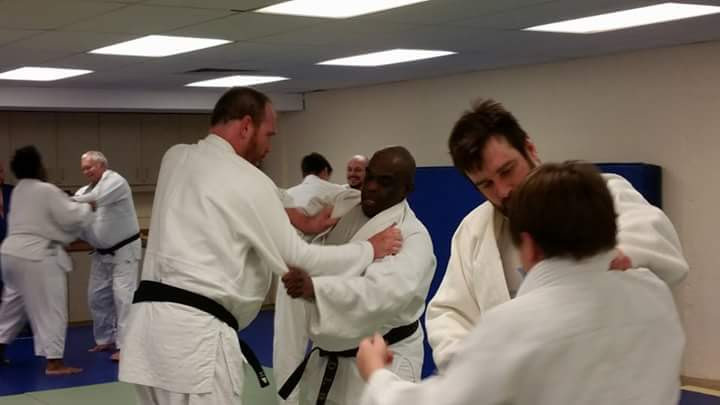 The workout consist of brief instruction from Sensei Pierce and nonstop randori. After the workout, many people were able to see and ask about the Wall of Fame. This area consist of the numerous medals, trophies and awards that Sensei Pierce has recieved over the years. White Dragon Judo Club would like to congratulate Randy Pierce and the Konjo Dojo on their grand opening.